Appropriation has never looked fresher and more urgent than in the hands of Eric Doeringer, whose work, the fruit of years of hard labor and sustained effort, most of it carried out underground, is currently on view at Mulherin + Pollard on the Lower East Side. This self-described "bootleg artist" offers a tongue-in-cheek opportunity to behold old suspects anew. 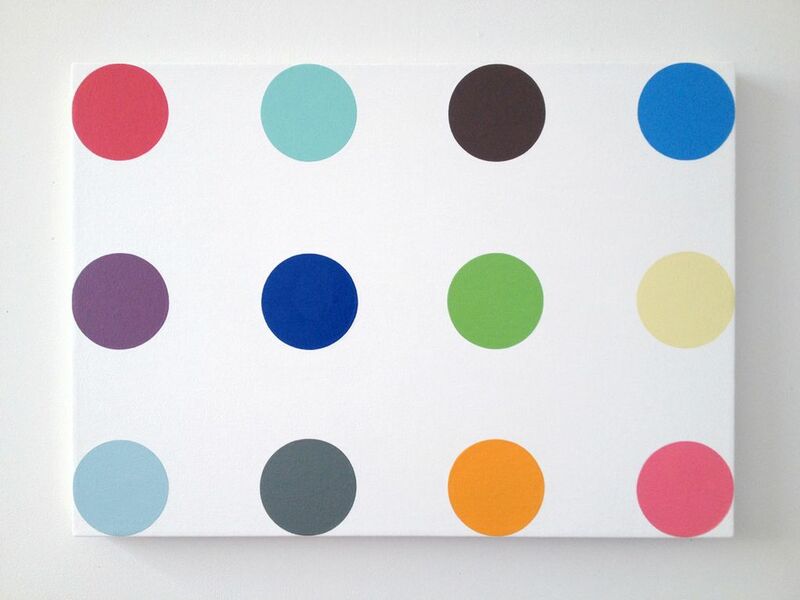 While I like to believe that I know Damien Hirst's dot paintings as well as anybody else, I have in fact never spent more than a few seconds looking at any one of them -- as a matter of fact, I had already filed them away as superfluous eye-candy for the rich and jaded. But eyeing Doeringer's meticulous bootleg versions of them, I feel as if I am seeing them for what they actually are: painstaking, precisely painted dots that bounce off the wall with a thrilling, hypnotic effect. 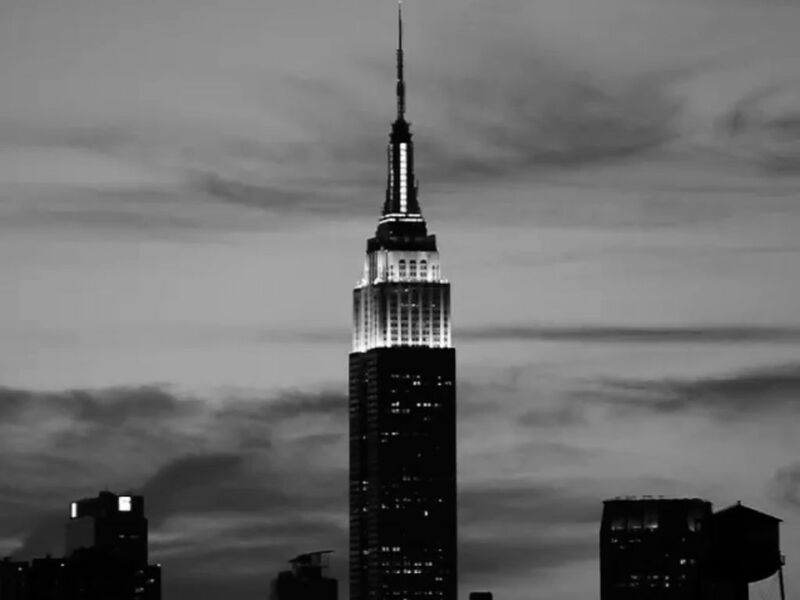 Something similar is at play in Doeringer's remake of Andy Warhol's 1964 Empire, which he entitled After Andy Warhol. While it was shot on a corresponding day of the year to the original, guaranteeing that the sun sets at the same time in both films, it is worth noting that Doeringer's 2012 version was shot on digital video, our era's amateur medium of choice, just as 16 mm was the standard in the Sixties. With Doeringer's version living up nicely to the original, there are now two equally beautiful Empires competing inside my mind, one After Andy Warhol and the other Before Eric Doeringer. Ever since I first stumbled upon Eric Doeringer and his bootleg art back in 2005, I have been strangely fascinated by his practice. In it, there was something I found more relevant than much on view in the contemporary art scene. How to explain this fascination? Why would a conceptual artist overtly present himself as a copycat? How, at a time when everyone strives to be original, can one possibly justify the bold act of copying other people's work and passing it off as one's own? Finally, why would anyone be bold enough to compete with the great Sturtevant, famous since the Sixties for her repetitions of the works of other artists? Andy Warhol once famously declared, "If you want to know all about Andy Warhol, just look at the surface of my paintings and films and me, and there I am. There's nothing behind it." Doeringer seems to be saying, "If you want to know all about Eric Doeringer, just look at my bootlegs. There's nothing behind it." Warhol well knew that his remark would gain him even more notoriety, rather than deflecting attention. It is safe to say that Doeringer equally understands that conceit well enough to have made it the basis of his practice.